It is truly a wonderful time to have orthodontics. Now, along with several other types of orthodontics available, you have the option to have completely invisible braces! You read that right: invisible braces! Sometimes people need their appearance to stay essentially the same, even if they are changing the alignment of their teeth. This is now possible through several different orthodontics. Lingual braces are less common than metal braces, however they can still be used on some cases. The brackets are attached to the inside of the teeth instead of the outside, making them virtually invisible. No one can see these braces when you smile. Each bracket is custom-made for your teeth. Lingual braces have become easier to manage over the years. Adjustment appointments take longer because the braces are more challenging for your Burbank orthodontist to access. The braces can be difficult to get used to. The braces are harder to clean. The braces can cause soreness on the tongue at first. In some cases, they may cause a speech impediment. Not recommended for extreme cases. If you have any questions about lingual braces, our award-winning orthodontist in Burbank, CA can answer them much more clearly for your particular situation than this article can. 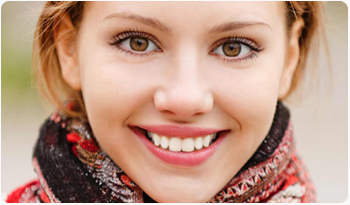 Invisalign is well-known for invisibly straightening teeth. If your particular case isn’t extreme, Invisalign is a perfect option for you. Let’s take a look at some of the benefits and drawback of Invisalign. You can eat or drink whatever you want. Invisalign is typically more expensive and is not recommended for extreme cases. The tray must be taken out to eat or drink anything except water, and you must brush your teeth before putting it back in. The trays have to be cleaned separately from your teeth, and just as often. This requires self-discipline. If you have great oral hygiene habits and are committed to them, Invisalign could be a great option for you. However, if you tend to neglect your teeth or know you won’t spend the proper amount of time caring for your trays, then Invisalign may not be the right option for you. After reading, if you are ready to learn more about orthodontics for you or your child, give us a call at 818.242.1173. For a limited time, we are offering a $250 savings certificate for your initial visit to our orthodontics office near Burbank, CA. We can’t wait to help you create your new, spectacular smile!